LAS VEGAS – At NAB Booth# C5721, Neutrik USA will feature the opticalCON Dragonfly Fiber Optic Camera Connector Series. 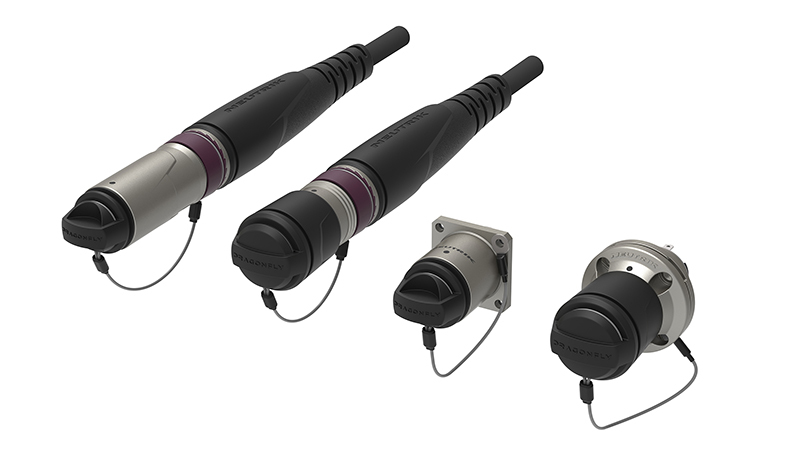 Neutrik, the leading supplier of robust and reliable professional connectivity solutions for audio, video, and data, is pleased to announce the opticalCON DRAGONFLY Fiber Optic Camera Connector Series. As the newest addition to the company’s legendary opticalCON family of products, the new DRAGONFLY series offers advanced lens technology for the Broadcast and AV markets—ensuring robust, reliable connectivity that is easier to maintain than common hybrid camera signal transmission systems with almost the same performance. With technology based on fiber lenses and fusion splicing, Neutrik’s DRAGONFLY achieves an extremely robust signal with minimal loss. opticalCON DRAGONFLY combines all the advantages of lens technology and makes it competitive with physical contact connectivity. DRAGONFLY is based on Neutrik’s patented XB2 Technology. Its innovative fusion splice high-performance lens transmits UHD 4K and 8K signals with very low loss, as the signal surface of the XB2 lens is 322 times larger than physical contact surfaces. This further results in low insensitivity against dust and dirt. Of particular note, DRAGONFLY offers robust connectivity against vibration, thus having low potential for damage. It is also field serviceable—thanks to its fusion splice technology—making DRAGONFLY an outstanding choice for field broadcast applications. With its high performance-low loss attributes and its consistent quality, including 100% reliability, even at extreme temperature fluctuations, DRAGONFLY is both innovative and future-proof. Neutrik’s DRAGONFLY re-defines simplicity and efficiency. Its hybrid connection transmits both power and data over a single connection, with low maintenance intervals. Switching to DRAGONFLY is easy, as it fits into standardized broadcast cutouts. Cleaning is quick and efficient using compressed air and water. With its reliable push/pull locking mechanism, IP68 rated dust and waterproof rating in mated condition, and proven anti-kink boot design, DRAGONFLY offers a long life of 10,000 mating cycles.